BETTER THAN NEW!! This home is located in beautiful Monroe Valley park with a lot rent of $502 per month which includes water, sewer and snow removal. There is new carpeting and flooring throughout, new kitchen cabinets and countertops, stainless steel appliances, porcelain tile in the shower, skirting, deck and reverse osmosis water treatment system. 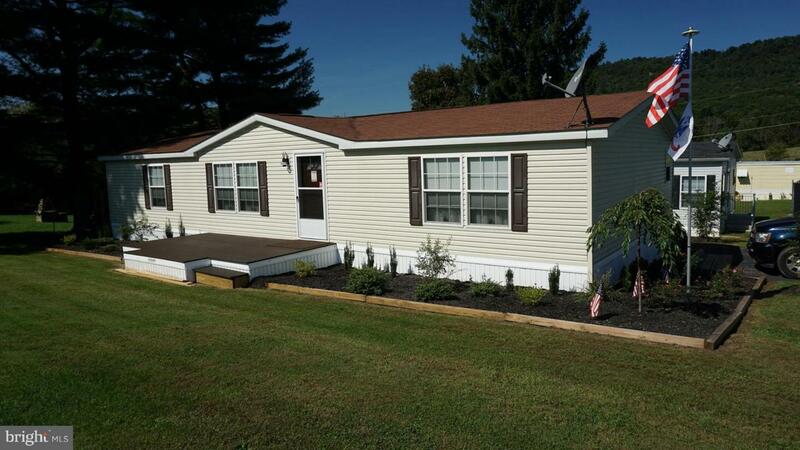 This home is located just minutes away from Swatara State Park which is a great place for hiking, biking, and enjoying the outdoors. Entertainment and dining is close by with Hollywood casino and Hershey Park just minutes away! Inclusions Refrigerator Stove Washer Dryer Storage Shed.